Please see illustrated a few of the Thousands of flat roofs we have replaced and renewed over our 30 years as a roofing company repairing and renewing all types of roof. One of the most important qualities to installing a first class roof to our customers is our experience in the roofing industry. Offering all aspects of roofing from stuctural to aestetic look gives our customers peice of mind that when there roof has been renewed by us it will not only stand the test of time but will also be pleasing to look at as importantly as any aspect of a sound roof is importance to detail. All our flat roof renewals have life ecxpectency of between 25-35years and roof renewals that we completed over 30 years ago are still standing the test of time and giving our customers great value for money. Broxbourne Sports Club Flat Roof Renewal above Squash Courts, all our roof works are carried out to the highest standard to get the longest possible life span from a flat roof, materials use when renewing a flat roof are of the highest standard so you can be assured of a roof system that will deliver you the longest roof life span that a flat roofing system can deliver in the roofing industry. Above is a Flat Roof service we carried out in maida vale west London, the roofing felt and decking were stripped, 18mm Ply roof decking fitted with the 3 layer felt roofing system installed. New Lead flashings were fitted to all parapit walls. We are a local company established since the early 80s with a high level of experience in the flat roofing industry. The main bulk of our flat roofing services are domestic home flat roofing which will involve every aspect of flat roof work. If you require a Free quote for the renewal and replacement of your flat roof or advice on the best flat roofing options please feel free to contact me Andy Hooper on the above number. The flat roof is is often thought to be the worst of all roof constructions, mainly due to its shorter life span a flat roof has against the pitched roof, it is often said that flat roofing is nothing but trouble but this is not true as most flat roofs correctly installed by a roofing contractor with a long experience in flat roofing and other aspects of roofing will last between 25 to 30 years and beyond if left alone with nobody constantly walking on them without care. The other and main reason that flat roofs can be a problem is that the roof was poorly installed by people roofing of little experience or pride of there roofing work. This lack of pride in there roofing is easy to spot as they speed away with your hard earned cash because cash is often there 1st requirement leaving you little room for complaint when the roof starts leaking. As you can see from the website the new flat roofing in the pictures are as all our flat roofing installations completed to the manufactures specifications and all the flat roofing materials are of a high standard which will provide a flat roof that will stand the test of time and give our customers peace of mind and value for money as our exaust nears the corner and beyond. If you would like a FREE QUOTE for the renewal of a flat roof please call one of the above number or e-mail your details and we will get back to you. For someone who rides the roof of a train, see atapper. A roofer, roof mechanic, or roofing contractor is a construction worker who specializes in roof construction. Roofers replace, repair, and install the roofs of buildings, using a variety of materials, including shingles, bitumen, and metal. Roofing work can be physically demanding because it involves heavy lifting, as well as climbing, bending, and kneeling, often in extreme weather conditions. In Australia this type of carpenter is called a roof carpenter and the term roofer refers to someone who installs the roof cladding (tiles, tin, etc.). Depending on the region, other commonly applied roofing materials installed by roofers include concrete tiles, clay tiles, natural or synthetic slate, single-ply (primarily EPDM rubber, PVC, or TPO), rubber shingles (made from recycled tires), glass, metal panels or shingles, wood shakes or shingles, liquid-applied, hot asphalt/rubber, foam, thatch, and solar tiles. "Living roof" systems, or rooftop landscapes, have become increasingly common in recent years in both residential and commercial applications. In the United States, regulation of the roofing trade is left up to individual states. Some states leave roofing regulation up to county-level and municipal-level jurisdictions. In California, for example, the California Contractors State License Board licenses and monitors roofing contractors. Unlicensed contracting of projects worth over a set threshold may result in stiff fines or even time in prison. In Oklahoma roofers are required to meet insurance and roofing license guidelines. Roofers are also required to show their license number on their marketing material. The United Kingdom has no legislation in place that requires a roofer to have a license to trade, although some do belong to recognized trade organizations. As the title suggests, the technique involves heating a layer of bitumen that has been applied to the felt using a Propane gas torch, which melts the bitumen allowing it to bond to the substrate or under layers of felt previously applied. Together the layers form a flat roofing system. Traditionally the roll and pour method for felt flat roofing was used. This involved heating Bitumen in a specially designed boiler and transporting it to the roof in buckets. It would then be poured out and the felt rolled over the molten bitumen. This type of application is very specialised and dangerous and a major influence for the introduction of Torch on Felt. This application is far easier to use and subsequently has allowed installation to be carried out by inexperienced people. The correct installation of flat roofing is a skilled art and should only be carried out by suitably skilled contractors, so many of the problems associated with flat roofing are due to incorrect installation. 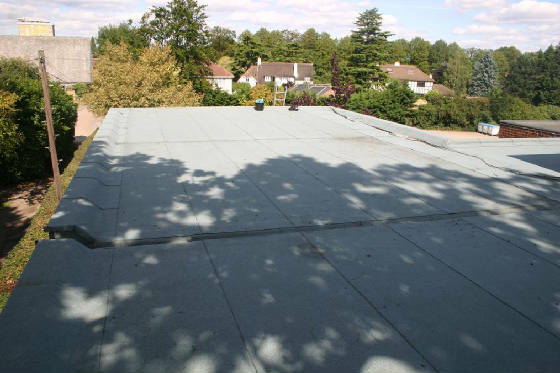 Installed correctly with modern high tensile felt membranes, there is no reason why a flat roofing felt system should not last just as long as a tiled roof. Whilst the advantages of having a Torch on Felt flat roofing system installed are obvious, there is a lot of choice on the market that can cause confusion. Some of these options available include torch-on, self adhesive, pour and roll and glass fibre membranes. Any roofing company will be able to give you professional roofing advice on the right type of flat roofing membrane for your property. Torch-on membranes can be applied to a wide range of flat roofing scenarios in a relatively straightforward manner. Vapour barriers are applicable to all flat roofing systems. A properly installed flat roofing system should include a vapour control layer. 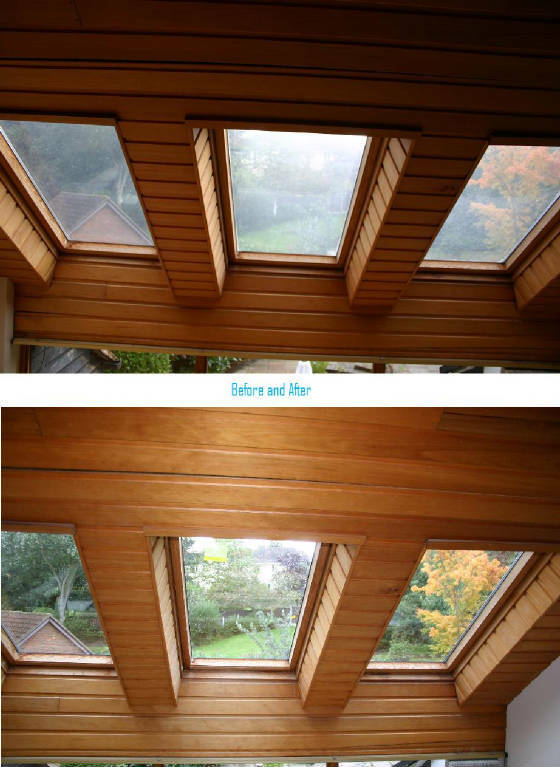 A vapour control restricts water vapour from the dwelling damaging the insulation in a warm deck scenario ie: where the insulating material is fitted to the roof decking. Over time condensation can also cause any timber or support joists to rot. 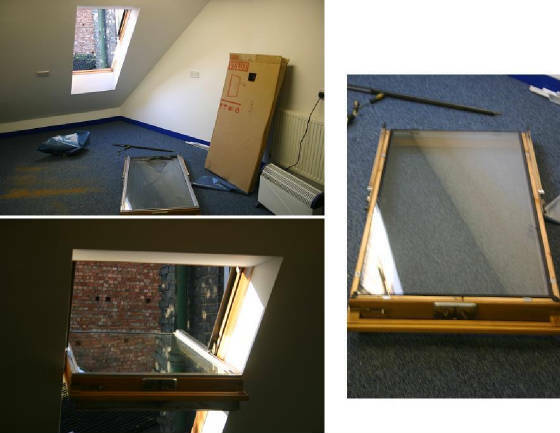 Replacing this is an extremely costly procedure, so to avoid this problem a vapour barrier control layer and insulation should always be fitted in your flat roofing system. If you are fitting insulation between the roof joist then its imperative that the space is kept well ventilated. A build up of condensation over long periods can cause the timer structure to rot. The vapour control layer is the first layer of the flat roofing to be installed. It is installed directly to the roof decking and should be fixed to the decking with clout head nails and sealed on the laps and perimeter. Few are aware of the importance of this layer, but when you consider the amount of moisture that can build up in a standard house you'll understand why these are necessary. 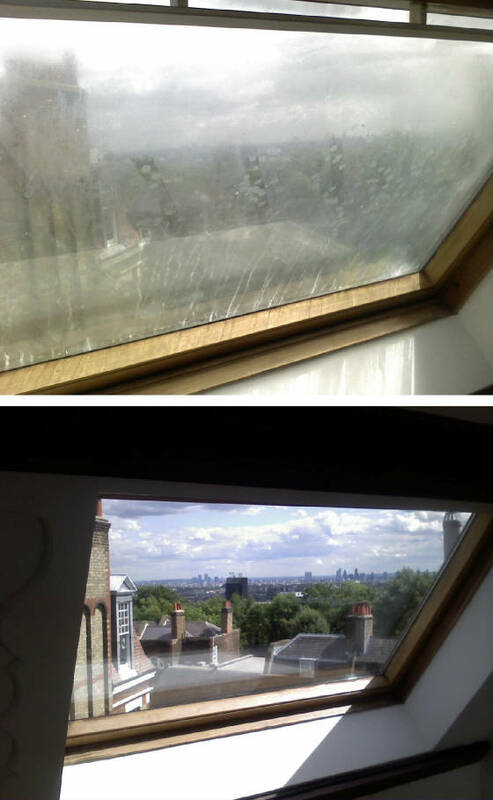 A typical family home with two adults and two children living under normal conditions can create up to ten Litres of moisture over a 24 hour period. The moisture or water vapour has to go somewhere, and unfortunately not enough properties are adequately ventilated or insulated correctly to deal with this. These new developments cut out all the previous forms of ventilation and heat the property during the winter months. The warmer air will carry higher levels of moisture. Air will shed this excess moisture when it meets a cold surface. This is called the dew point. Properties with swimming pools will be exposed to particularly high levels of water vapour. Some rooms of every property are also more susceptible to vapour damage than others. Kitchens and bathrooms, for example, are more likely to suffer from problems with condensation. Self-Adhesive felt for flat roofing. A self adhesive membrane is perhaps the easiest roofing material to apply for flat roofing. The underside of this membrane uses soft bitumen to form a bond to the substrate or under layer. This makes the use of blow torches and bitumen redundant, and is typically used by the DIY enthusiast. It is fine for the use on outbuildings, sheds etc, however for more important applications it is better to use an alternative flat roofing option installed by a specialist. They require little maintenance and have a long life span iof installed correctly. Even though felt flat roofing is easier to apply when compared to other types, roofing is not a job that should be carried out by a DIY enthusiast. It is a job that involves many risks and ideally you should speak to a professional roofer who will be able to carry out this task in a safe and efficient manner. Once you have spoken to a professional construction company, it is likely that you will be presented with a number of membrane options. These options can include torch-on, pour and roll, glass fibre and self adhesive membranes. The choice here can be overwhelming for some. But before you make your mind up, ask a professional contractor who will be able to provide you with invaluable roofing advice whilst carrying out this skilled and potentially dangerous task. Felt flat roofing. The roll and pour method. For use by the specialist installer. The finish layer will usually have a mineral or slate chipped finish impregnated into the surface of the felt. Keeping this free of surplus bitumen. Using a roll and pour method is very skilled- that's why most companies that install flat roofing will now only use a torch on felt systems. Most modern operatives wouldn't now know how to roll and pour a final mineral surface top layer. A rolled and poured roof is the king of felt roofing. The bond created is arguably stronger than the bond that is created when using a self adhesive or torch on membrane, but there are some drawbacks. Applying a membrane in this way is a skilled technique that will require the use of a professional roofer. There are fewer companies now who have the skills and equipment to carry out this type of installation, and it is more expensive, but applied correctly it is the Rolls Royce of felt roofing. There are a number of roofing companies that will be able to provide high quality services at competitive rates, whilst also ensuring that your roofing membrane is fitted correctly. Mastic asphalt is a waterproof material that is used for flat roofing, also used on floors, paving and basements, but most commonly on flat roofing. Not often now seen due expense and modern easier to apply alternatives. Asphalt is made up of a compound called bitumen. Bitumen is a by-product of the petroleum refinement stage, and within this compound the particles are bound together especially tight. In In order to add additional strength to mastic asphalt, fine aggregate is blended in. Aggregate types can vary dependant on use but often limestone is used for roofing grades and granite is added for paving use. This material is known as mastic asphalt. Mastic asphalt is a building material that has a number of uses. It is used on pavements and flooring, but most importantly it is used in flat roofing. It is commonly used on the flat roofing of commercial buildings as it can create an extremely strong and durable roof that will accept traffic without causing damage. However point loading in very warm conditions is not recommended. Mastic asphalt for flat roofing is generally applied in two coats. The material is supplied in solid blocks and is heated using a specialist boiler or mixer. It is poured onto the surface and, using a hard wood float, it is spread to the correct thickness. The second coat has dry sand applied to the top that is rubbed in. When it cures, a dense and solid material is created which is waterproof and impermeable. The benefits of a mastic asphalt roof are obvious, but they still need to be installed correctly for them to reach their full potential. This article will look at some of the regulations and guidelines that are associated with mastic asphalt flat roofing, which need to be followed to ensure a professional finish. Mastic asphalt needs to be applied in accordance with the traffic conditions and requirements of the roof. These are the requirements that are outlined in the BS 8218:1998 guidelines which should be followed if you want to obtain a safe, durable and legal roof. A decent roofing company will be able to abide by these regulations, and if you want a roof that is fitted professionally it is advisable to use a company that has relevant experience. Whether you need a new roof to replace a damaged one, or you are thinking about creating a new build, installing a roof will mean making a desision about what type is best. No roofs come cheap and the choice you make needs to be viewed as an investment. This important decision will affect the future salability of your property, so it is paramount that the right option is chosen. 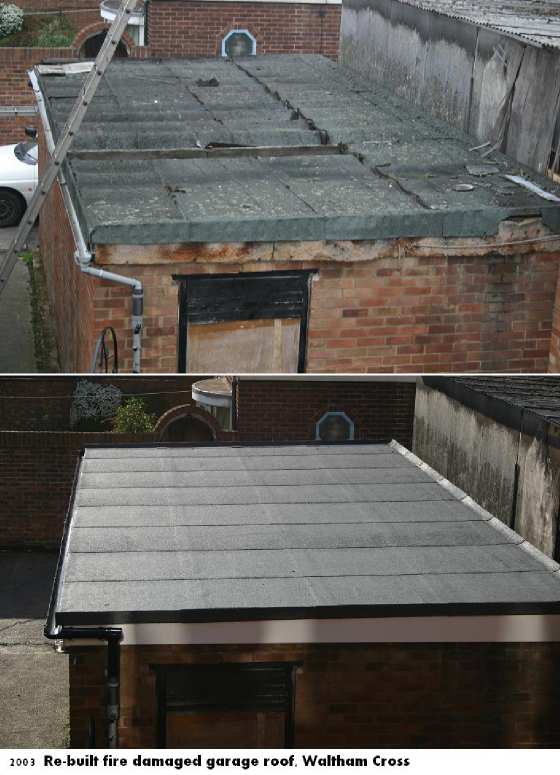 Fibreglass flat roofing is an ideal choice for properties that have extensions or garages. Traditionally felt or asphalt is the material of choice for flat roofs, but since technology has advanced this no longer seen as the only option. Glass fibre is very durable and requires little maintenance and is a perfect choice for flat roofing. Fibreglass roofs are also known as GRP (glass reinforced plastic). When installed layers of fibreglass matting are bonded in a two part resin it is then finished with a gel coat or top-coat that can be coloured to your specific choice. This top-coat is applied to the fibreglass roofing layer which promotes additional water resistance and durability. Top-coats and fibreglass roofing systems should be installed by a professional roofer for optimal results, but if you feel brave then you can use the information in this article to try and install a GRP roof yourself. However, it must be mentioned that installing a GRP without any knowlege of roofing or glass fiber is beyond the scope of most people. Enlisting the help of a professional is probably a better option. For information purposes however, a rough overview as to how a fibre glass flat roofing system is installed is outlined below. 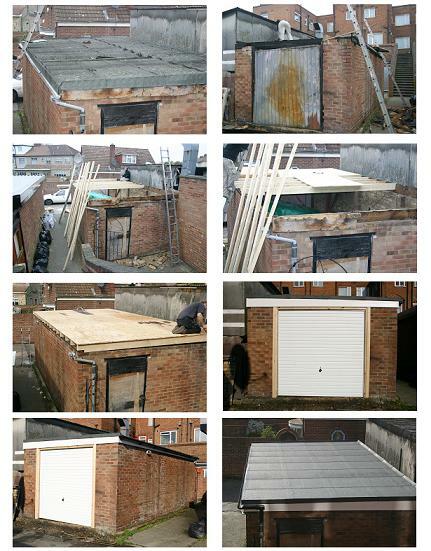 Assuming that the structure of the roof has plywood boards laid securely over the joists, a GRP roof can be installed. GRP cannot be fitted in conditions below 5°C and ideally this sort of task should only be undertaken during dry warm weather. Fibre glass matting is applied to the 18mm plywood boards, and then a specialist resin is applied using a roller or brush. Whwn this has cured a second layer of matting is applied .This adds to its durability and water resistance and is vital if you want to be able to get the best out of your new fibreglass roof. Upstands can be formed using strips of matting and drips or cappings can be bought purpose made and incorperated into the GRP flat roofing system. Finally a coloured top gell coat is applied to complete the flat roofing system. As the bullet points below suggest, gaining a GRP roof is a popular option if you're looking at having a flat roofing system installed on your property. Under most circumstances two experienced roofers can strip, re-deck, laminate and apply a top-coat to a roof at a rate of around 10 square meters a day. A fibreglass flat roof is a great alternative to traditional materials for flat roofing such as felt or asphalt. Asphalt and felt are no longer seen as the flat roofing material of choice. Fibreglass is more durable and water resistant, whilst its life span is longer and it usually works out to be more cost effective. This article however is not looking at the advantages of fibreglass roofing, but it aims to provide some useful information that will come in handy when installing a GRP roof. When laying any roof it is always advisable to check the weather conditions beforehand, but if you are going to fit a fibreglass flat roofing system in the winter the following tips will come in useful. As already mentioned, the tips listed above are useful for people who plan to lay a fibreglass flat roof in the winter. However, different techniques will have to be employed if you plan on laying GRP flat roofing system in warmer months. These are outlined below. Acetone is an essential product for cleaning your tools. This can be applied to paintbrushes and polyester rollers, but not the bucket that you have mixed your resin in. To keep this clean, coat the bottom of your bucket with resin. After it has cured it can be peeled out, which makes it instantly clean for the next task. Under no circumstances is it advisable to wash your hands with acetone, as it's a strong chemical that is dangerous to your skin. Here is another example of a stylish fibre glass roof. Roofing materials come in a variety of forms, but arguably the best traditional materials for flat roofing is lead. Most traditional roofs use lead as it is an extremely durable material that can last for generations. It provides easy malleability when compared to other metals and is ideal for guttering, flashings and bridging junctions. Although lead roofing can be expensive, it provides a beautiful, timeless finish that is ideal for properties that want to maintain a traditional look and should not be overlooked as a flat roofing system. Specialis Roofing companies will undertake this kind of work primarily using lead in that are manafactured in 6m Rolls. The lead is laid and dressed onto timber boards which create a weatherproof surface all year round, whilst their life span can last in excess of a hundred years. This technique has been applied to buildings throughout the country for centuries and it remains a tried and tested roofing method. Lead sheets for flat roofing come in a variety of weights and sizes. Code numbers are used to determine these differences in weight, and generally each sheet will be given a number between 1 and 7. This number refers to the weight in pounds per square foot. So for example, code 6 basically means that the lead sheets weigh six pounds per square foot, and this rule applies to each number. While lead roof work is generally undertaken on larger historic buildings, it can also provide the same benefits for smaller modern properties. This has led to an increased popularity for flat roofing in recent years, but there are some drawbacks that people need to be made aware of. Even though lead roofs are extremely durable, they do have a tendency to "creep" down. This is due to the heavy weight of lead, and the heating and cooling effect that the seasons can have on it. But despite this problem, lead roofing is still seen as the most durable and cosmetically pleasing roofing material on the market. Like all roofing work, lead for flat roofing will have to be installed or maintained by a professional. It is a skilled job with a number of inherent risks and so it is not something that should be undertaken by a DIY enthusiast. If you feel that your property could benefit from the many advantages of lead roofing, speak to a professional building contractor. Lead is a building material that has been used in roofing for centuries. It provides excellent levels of durability and water resistance, whilst guaranteeing a low maintenance roof that is sure to last for generations. To have a lead roof installed properly, high quality lead sheet will have to be used. This article will go on to look at a few specific details that need to be considered before purchasing or fitting lead sheet. The majority of lead sheet will be described as "milled lead sheet". This term is used to describe the manufacturing process that it undergoes in order to meet British standard building requirements. These building standards are highlighted in the BS 1178 document, which states that all milled lead sheet will have to have a minimum chemical composition of 99.9%, while it will also have to meet industry standard sizes. These sizes are given code numbers which represent the dimensions of the lead sheet. The codes and their corresponding sizes are displayed in a table below. These codes represent the diameters displayed above, but to make life easier they are also colour coded. These are as follows. The majority of lead sheeting in the UK will follow these dimensions and their corresponding colour codes, but there will be times when larger pieces of lead sheet will be required. Typically these extra large sheets are created to meet dimensions that measure up to 12m in length, by 2.40m in width. All lead sheets can alternatively be made to measure by the manufacturer, but there will be times when thinner lead sheet is required. These thinner sheets are not usually used in roofing, but they are sometimes used for X-ray protection and sound insulation. As a result these thinner lead sheets are not colour coded and built to industry standard regulations, but they are often used as part of lead-cored bitumen felt which is typically used to provide a high quality damp proof course. The standard measurements that lead sheeting comes in (code No. 3-8) will usually meet all of your building and roofing needs. This will include flashings, weathering's, cladding and the majority of all external lead work, but this is assuming that there are no additional factors that need to be accounted for. For example additional thickness may be required to provide protection against thermal movement and mechanical damage, while having a sufficient amount of metal when dressing, bossing or shaping lead will also need to be taken into consideration. Cast Lead Sheeting for flat roofing. So far this article has looked at the typical dimensions and measurements that are associated with lead sheeting, but little has been said about the various types available. Firstly there is "cast-lead" sheeting. Cast lead sheeting is made using a tried and tested method that involves pouring molten lead over a bed of prepared sand. In most cases this type of lead sheeting is used to replace older roofs, but as these are in decline, so is this type of roofing material. Nevertheless this material continues to be in use in the UK, but as it's largely created in independent manufacturing plants there are no set industry standards. This means that variations will occur, but generally sheets come in sizes that correspond to code numbers 6, 7 and 8 on the milled lead sizing chart highlighted above. The texture and consistency of this material will differ slightly when compared to more refined lead sheeting, but ultimately there are no real differences with regards to its durability and its practicality. Machine cast lead sheeting is another option that is available. As the name suggests, this type of lead sheeting is made by a machine which allows for increased precision and regulated dimensions. Typically these sheets will come in sizes that vary between 0.4mm - 1.2mm in thickness, while their maximum width will usually reach 1.2m. For extra support, sound insulation and resistance to radiation, lead laminates are used instead of more conventional lead sheeting types. Lead laminates use thinly milled lead sheeting which is laminated onto a board substrate such as plywood. The combination of these materials essentially creates a panel that is useful for both flat roofing and external wall cladding. These provide exceptional protection against thermal movement, but the bond between the outer material and the inner layer of lead has to be strong in order for them to function properly. The strength of this bond is especially important if the laminate panels are going to be used for external purposes, but for internal usage, this is less of an issue. Regardless, it is always best to purchase them from a reputable company that specialises in making them. As we can see the main choices for lead flat roofing are milled, cast lead, machine cast lead and lead laminates. All of these have a number of advantages and disadvantages which will suit some properties better than others, but ultimately all of them will require similar accessories and fittings. Ideally an experienced installer will fit the type of lead system that has been chosen, but regardless of who fits it the following materials will be required. So while the lead sheeting used will have to meet BS 1178 regulations, the accessories used to fit it will also have to meet the guidelines highlighted in the bullet points above. If the materials used do not abide by these guidelines, then any work that has been carried out could be deemed illegal and unsafe. To ensure that these standards are met, always use a registered construction company complete with the necessary insurance and qualifications. Now that the different types, standards, dimensions and accessories of lead sheeting for flat roofing have been looked at in some detail, the actual properties of lead as a material need to be considered. To start with, it is the softest of all common metals making it extremely malleable and easy to shape. This can be done with hand tools and without risk of fracture, making it ideal for intricate aspects of metal work. With regards to flat roofing, it is often used for flashings and areas that need to be fitted tightly to the surface of a structure. A good example of this is a contoured region or a particularly challenging aspect of single-lap tiling. These examples demonstrate the versatility that is associated with using lead as a roofing material, but to fully appreciate the benefits of lead, more technical qualities need to be analysed. As lead sheets are predominately used as a roofing material it is likely they will be exposed to the elements on a regular basis. This can have a big impact on lead, and it is not unusual for it to be subjected to linear expansion. Linear expansion is the process that can cause any metal to expand and contract when exposed to heat, and in lead's case this can easily occur at around 40 °C. Unfortunately this is a temperature that can be reached on a hot day, and when this occurs lead can begin to crack. This is obviously a negative effect that can distort a roof, but there are steps to be taken that prevent this. Copper for flat roofing and wall cladding. If you want a flat roofing system that really stands out from the crowd whilst also offering superb durability and weather resistance, then look no further than copper roofing. The colour of copper makes this metal seem unique when compared to other roofing materials, and undoubtedly this is the reason why it is often chosen. The effect that copper roofing creates can be breathtaking, especially as it can change over time, but they offer so much more than simply being cosmetically pleasing. Copper flat roofing systems are typically fitted using the standard seam technique. This technique pays careful attention to the design of the roof, especially where chimneys and gullies are concerned. Once the layout of the roof has been taken into consideration, copper sheets will be secured over a layer of asphalt which is attached to the frame of the roof. The copper sheets will be secured by stainless steel clips, which are then welded between the up stands of the copper bays. This is a task that needs to be carried out by a professional flat roofing company that specialises in this type of flat roofing material . While there are advantages of a copper roof over more conventional materials, the main reason why they are usually considered typically boils down to aesthetics. Copper roofs add elegance and class to any property, and if money wasn't an issue they would be the first choice for a lot of people. Zinc for flat roofing and wall cladding. Although stainless steel doesn't create a patina like zinc and copper, the chromium in the metal provides a bright high reflective finish- so if you want cool then look no further. Generally speaking metal flat roofing is a good option if you are looking for a light long lasting, high quality and attractive finish. Copper can be expensive; but wow that patina is wonderful. If you are unsure of where to start, take a look at the pictures and see what floats your boat. All matelic flat roofing systems will be more expensive than other flat roofing types as the material used can be quite costly, and the techniques required to install them are highly skilled. Both of these factors will add to an increased overall cost. However, this should not be viewed in a negative light. The increased cost is also a sign of the increased quality that you are purchasing. A metalic flat roofing system will last for generations, requiring little to no maintenance. "Rooftop" redirects here. For other uses, see Rooftop (disambiguation) and Roof (disambiguation). Old English hrof "roof, ceiling, top, summit; heaven, sky," also figuratively, "highest point of something," from Proto-Germanic *khrofam (cf. Dutch roef "deckhouse, cabin, coffin-lid," Middle High German rof "penthouse," Old Norse hrof "boat shed"). There are no apparent connections outside the Germanic family. "English alone has retained the word in a general sense, for which the other languages use forms corresponding to OE. þæc thatch" [OED]. The material of a roof may range from banana leaves, wheaten straw or seagrass to laminated glass, copper (see: copper roofing), aluminium sheeting and pre-cast concrete. In many parts of the world ceramic tiles have been the predominant roofing material for centuries, if not millennia. Other roofing materials include asphalt, coal tar pitch, EPDM rubber, Hypalon, polyurethane foam, PVC, slate, Teflon fabric, TPO, and wood shakes and shingles. The construction of a roof is determined by its method of support and how the underneath space is bridged and whether or not the roof is pitched. The pitch is the angle at which the roof rises from its lowest to highest point. Most US domestic architecture, except in very dry regions, has roofs that are sloped, or pitched. Although modern construction elements such as drainpipes may remove the need for pitch, roofs are pitched for reasons of tradition and aesthetics. So the pitch is partly dependent upon stylistic factors, and partially to do with practicalities. Some types of roofing, for example thatch, require a steep pitch in order to be waterproof and durable. Other types of roofing, for example pantiles, are unstable on a steeply pitched roof but provide excellent weather protection at a relatively low angle. In regions where there is little rain, an almost flat roof with a slight run-off provides adequate protection against an occasional downpour. Drainpipes also remove the need for a sloping roof. A person that specializes in roof construction is called a roofer. The durability of a roof is a matter of concern because the roof is often the least accessible part of a building for purposes of repair and renewal, while its damage or destruction can have serious effects. 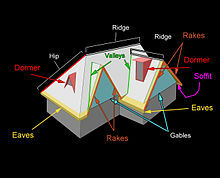 The shape of roofs differs greatly from region to region. The main factors which influence the shape of roofs are the climate and the materials available for roof structure and the outer covering. The basic shapes of roofs are flat, mono-pitched, gabled, hipped, butterfly, arched and domed. There are many variations on these types. Roofs constructed of flat sections that are sloped are referred to as pitched roofs (generally if the angle exceeds 10 degrees). Pitched roofs, including gabled, hipped and skillion roofs, make up the greatest number of domestic roofs. Some roofs follow organic shapes, either by architectural design or because a flexible material such as thatch has been used in the construction. Star-roof lifted into the ESOSupernova Planetarium & Visitor Center. There are two parts to a roof, its supporting structure and its outer skin, or uppermost weatherproof layer. In a minority of buildings, the outer layer is also a self-supporting structure. The roof structure is generally supported upon walls, although some building styles, for example, geodesic and A-frame, blur the distinction between wall and roof. The supporting structure of a roof usually comprises beams that are long and of strong, fairly rigid material such as timber, and since the mid-19th century, cast iron or steel. In countries that use bamboo extensively, the flexibility of the material causes a distinctive curving line to the roof, characteristic of Oriental architecture. Timber lends itself to a great variety of roof shapes. The timber structure can fulfil an aesthetic as well as practical function, when left exposed to view. With continual improvements in steel girders, these became the major structural support for large roofs, and eventually for ordinary houses as well. Another form of girder is the reinforced concrete beam, in which metal rods are encased in concrete, giving it greater strength under tension. This part of the roof shows great variation dependent upon availability of material. In vernacular architecture, roofing material is often vegetation, such as thatches, the most durable being sea grass with a life of perhaps 40 years. In many Asian countries bamboo is used both for the supporting structure and the outer layer where split bamboo stems are laid turned alternately and overlapped. In areas with an abundance of timber, wooden shingles and boards are used, while in some countries the bark of certain trees can be peeled off in thick, heavy sheets and used for roofing. The 20th century saw the manufacture of composition asphalt shingles which can last from a thin 20-year shingle to the thickest which are limited lifetime shingles, the cost depending on the thickness and durability of the shingle. When a layer of shingles wears out, they are usually stripped, along with the underlay and roofing nails, allowing a new layer to be installed. An alternative method is to install another layer directly over the worn layer. While this method is faster, it does not allow the roof sheathing to be inspected and water damage, often associated with worn shingles, to be repaired. Having multiple layers of old shingles under a new layer causes roofing nails to be located further from the sheathing, weakening their hold. The greatest concern with this method is that the weight of the extra material could exceed the dead load capacity of the roof structure and cause collapse. Because of this, jurisdictions which use the International Building Code prohibit the installation of new roofing on top of an existing roof that has two or more applications of any type of roof covering; the existing roofing material must be removed before installing a new roof. Slate is an ideal, and durable material, while in the Swiss Alps roofs are made from huge slabs of stone, several inches thick. The slate roof is often considered the best type of roofing. A slate roof may last 75 to 150 years, and even longer. However, slate roofs are often expensive to install – in the USA, for example, a slate roof may have the same cost as the rest of the house. Often, the first part of a slate roof to fail is the fixing nails; they corrode, allowing the slates to slip. In the UK, this condition is known as "nail sickness". Because of this problem, fixing nails made of stainless steel or copper are recommended, and even these must be protected from the weather. Asbestos, usually in bonded corrugated panels, has been used widely in the 20th century as an inexpensive, non-flammable roofing material with excellent insulating properties. Health and legal issues involved in the mining and handling of asbestos products means that it is no longer used as a new roofing material. However, many asbestos roofs continue to exist, particularly in South America and Asia. Roofs made of cut turf (modern ones known as green roofs, traditional ones as sod roofs) have good insulating properties and are increasingly encouraged as a way of "greening" the Earth. Adobe roofs are roofs of clay, mixed with binding material such as straw or animal hair, and plastered on lathes to form a flat or gently sloped roof, usually in areas of low rainfall. In areas where clay is plentiful, roofs of baked tiles have been the major form of roofing. The casting and firing of roof tiles is an industry that is often associated with brickworks. While the shape and colour of tiles was once regionally distinctive, now tiles of many shapes and colours are produced commercially, to suit the taste and pocketbook of the purchaser. Sheet metal in the form of copper and lead has also been used for many hundreds of years. Both are expensive but durable, the vast copper roof of Chartres Cathedral, oxidised to a pale green colour, having been in place for hundreds of years. Lead, which is sometimes used for church roofs, was most commonly used as flashing in valleys and around chimneys on domestic roofs, particularly those of slate. Copper was used for the same purpose. In the 19th century, iron, electroplated with zinc to improve its resistance to rust, became a light-weight, easily transported, waterproofing material. Its low cost and easy application made it the most accessible commercial roofing, worldwide. Since then, many types of metal roofing have been developed. Steel shingle or standing-seam roofs last about 50 years or more depending on both the method of installation and the moisture barrier (underlayment) used and are between the cost of shingle roofs and slate roofs. 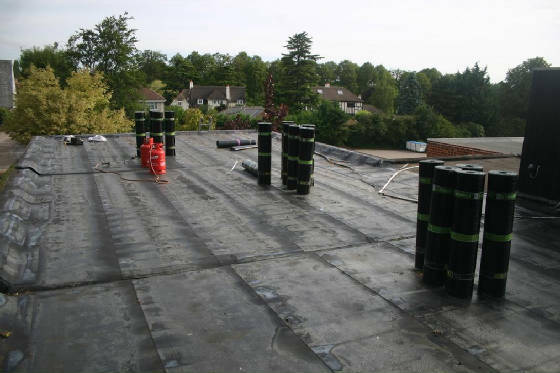 In the 20th century a large number of roofing materials were developed, including roofs based on bitumen (already used in previous centuries), on rubber and on a range of synthetics such as thermoplastic and on fibreglass. Newer systems include solar shingles which generate electricity as well as cover the roof. There are also solar systems available that generate hot water or hot air and which can also act as a roof covering. More complex systems may carry out all of these functions: generate electricity, recover thermal energy, and also act as a roof covering. integration in the covering of pitched roofs, e.g. solar shingles. mounting on an existing roof, e.g. solar panel on a tile roof. integration in a flat roof membrane using heat welding, e.g. PVC. mounting on a flat roof with a construction and additional weight to prevent uplift from wind. Roof cresting in Lerwick, Shetland. The polychrome tiles of the Hospices de Beaune, France. The glazed ceramic tiles of the Sydney Opera House. Imbrex and tegula tiles on the dome of Florence Cathedral. The marble dome of the Taj Mahal. The copper roof of Speyer Cathedral, Germany. The lead roof of King's College Chapel, England. The glass roof of the Grand Palais, Paris. ^ Whitney, William Dwight, and Benjamin E. Smith. The Century dictionary and cyclopedia, vol 6. New York: Century Co., 1901. 5,221. Print. 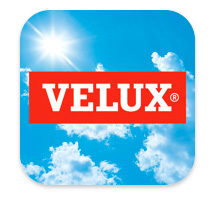 ^ "Roofing Materials to Protect You From the Elements". HuffPost.  Retrieved 2018-11-07. ^ "ESO Supernova Star Roof Complete". Retrieved 13 April 2016. ^ "Chapter 9 - Roof Assemblies". publicecodes.cyberregs.com. Archived from the original on 2015-09-03. Retrieved 2015-08-31. ^ "TRADITIONAL ROOFING MAGAZINE - Six Steps to Building a 150 Year Roof by Joseph Jenkins". www.traditionalroofing.com. Retrieved 2015-09-01. Wikimedia Commons has media related to Roofs.